Charles Edward Moore, age 86 of Griffin, passed away Saturday, January 26, 2019 at Brightmoor Hospice in Griffin. Charles was born in Griffin, Georgia on July 26, 1932. He is preceded in death by his wife of 65 years Myrtice Ogletree Moore; parents, William E.D. Moore and Ollie Nell Tolbert Moore; son, Charles Randall Moore; brothers, William Paten Moore and Robert Lee Moore; sister, Vivian and her husband Grady Maxwell. Mr. Moore is a veteran of the United States Air Force, retiring after 20 years of service as a Master Sergeant Superintendent of Dental Service at Scott Air Force Base in Illinois. After his military retirement, he worked as an Optician for Dr. Terry H. Wynne. 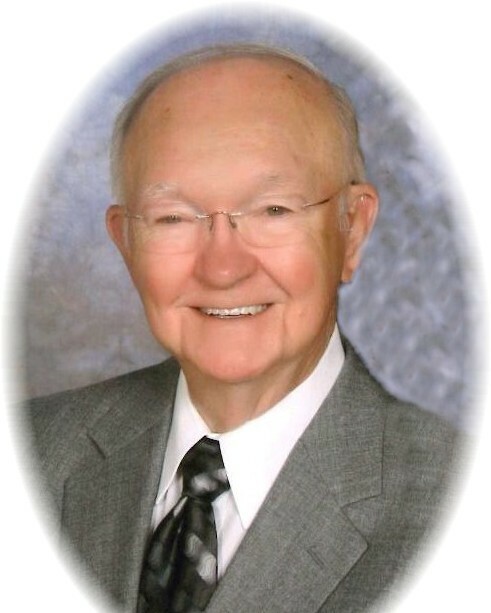 In 1963 Charles E. Moore accepted Jesus Christ as his savior; he was a longtime member of Southside Baptist Church of Griffin, serving as a Deacon and Sunday School Teacher. Survivors include his grandson, Jonathan Cory Moore and wife Margaret; great grandsons, Graham and Charlie Moore; sister-in-law, Doris Penley Moore; several nieces, nephews and cousins. Visitation for Charles Edward Moore will be Friday, February 1, 2019 from 12:00 pm until 2:00 pm at Conner-Westbury Funeral Home. Following the visitation a funeral service will be conducted in the Chapel of Conner-Westbury. Reverend Rick Brown and Reverend Mark Sellers will officiate. Entombment will be in the Westwood Mausoleum. In lieu of flowers, the family requests memorial contributions to the Wounded Warrior Project.